A$AP Mob burst onto the scene back in 2006 and even though there’s always seemed to be a never-ending number of members in the crew, we have only ever gotten a legit project from a total of two of the members. In fact, if they weren’t named Rocky or Ferg, they were pretty much irrelevant and if it wasn’t for the A$AP before their name would’ve disappeared into obscurity a long time ago. The only other rapper from the group who piqued my interest in any way was A$AP Twelvyy. But after 10 years I didn’t think his own project would ever see the light of day. That was until his aptly named debut, 12, came out of seemingly nowhere to make it a total of three artists in 10 years. In short, 12 is a solid album, but after 10 years of build up it’s not anything that will set the world on fire or bring the group to new ground that hasn’t already been well trodden. The best thing about the album is the production. As a group they’ve always had some of the more interesting production in music and while his album sounds more grounded and traditional than his peers’, there were some real standouts like “Strapped”, “Ea$TSideGho$T”, and “Diamonds.” As a lyricist, A$AP Twelvyy is above average with a decent flow but when compared to the group’s standouts, there’s a clear gap in charisma that doesn’t make him stick with you like the others. But all in all 12 was a very solid debut that may not make him a household name, but will at least make his name a respected one in the industry. Have you heard 12? What’d you think about it? Do you think A$AP Mob has found their next breakout artist? Let me know in the comments below and be sure to leave your own ratings and reactions for the album. 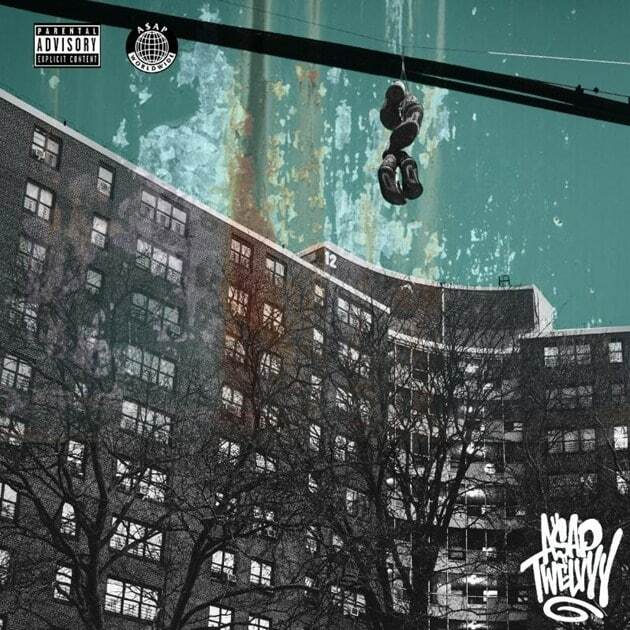 A$AP Twelvyy's debut won't make him a household name or the Mob's next breakout artist but it's a very solid project that really captures that NY feel and at the least make him a respected act in the industry. A solid start to a long delayed career.